hey :) this post is a bit late ... but better late than never, right? 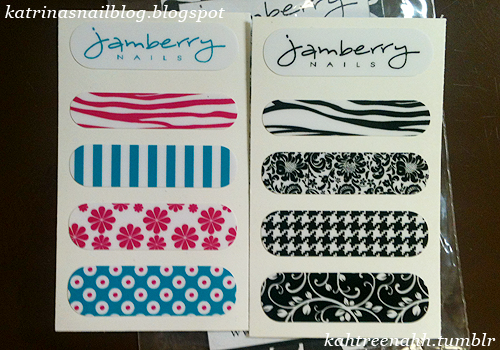 a few weeks ago, Jackie kindly offered me to try Jamberry Nail Shields -- of course i couldnt resist all the cute designs! i got Decorative Black + Mauve Dot. here's the mani i came up with. 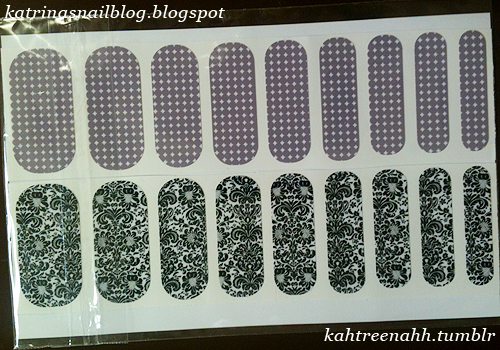 as i mentioned in my first Jamberry nail shields review, the shields are very easy to use. just a blow-dryer, nail clipper/scissor, and nail file and your mani will be done soon~ this second time around, application was much easier. They look great, what an easy solution to get nice nails, should look into that myself.